knob to change the display. Shows the total number of miles or kilometers driven since the last reset. 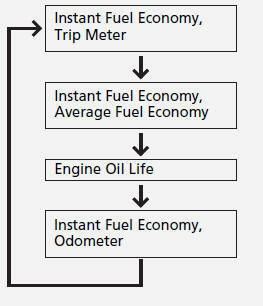 Shows the estimated average fuel economy of the trip meter in mpg (U.S.) or l/100 km (Canada). The display is updated at set intervals. 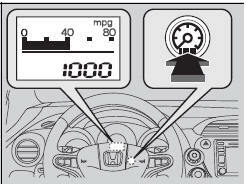 When a trip meter is reset, the average fuel economy is also reset. Shows the instant fuel economy as a bar graph in mpg or l/100 km.